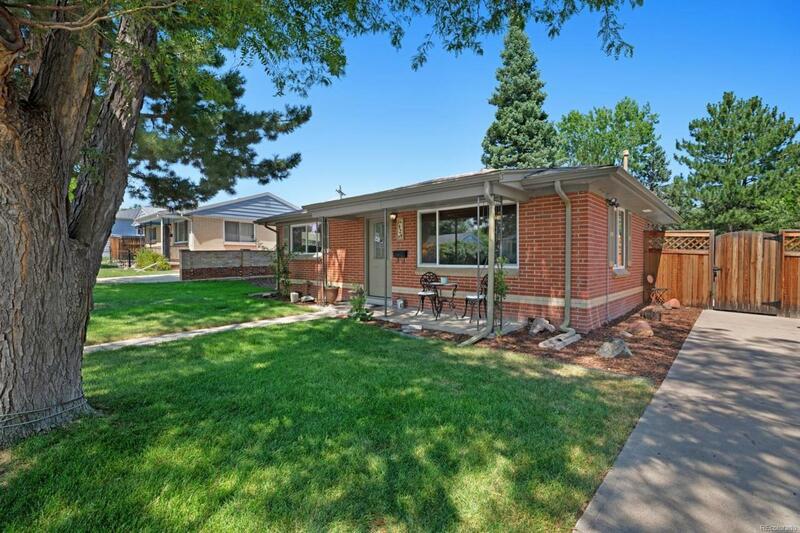 Amazing Brick Ranch home near Ruby Park & Overland Golf Course! Curb Appeal, cutest house on the street. Enjoy the wonderful front porch under a large tree for some shade or enjoy the large fenced backyard with privacy and many more mature trees for shade. The home has been updated inside and out. Walk in to an open feeling from the living room to the kitchen, very bright and sun lit interior. Wonderful hardwood floors, new electrical, roof, sewer line, windows, landscaping, and more! You just need to move in and enjoy the neighborhood for the bike trails, parks, access to major roads and more! Come live on a "Beach" in Denver!